14) Connect battery ground cable. 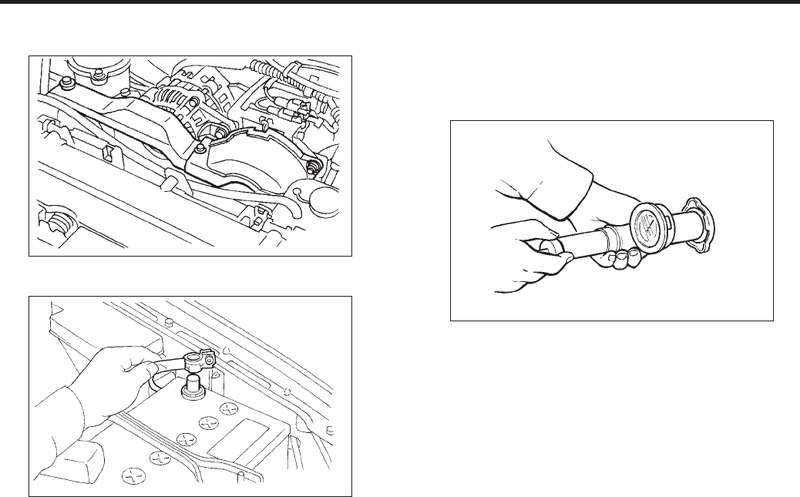 1) Attach radiator cap to tester. sure test will be incorrect.